You need a cool phone case to promote your iPhone case designs in a better way? 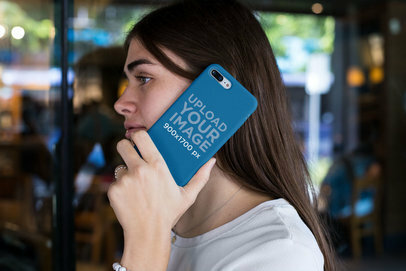 Use Placeit's mockup of a phone case and promote your latest designs using a simple image that will help you make stand out your design. Start now and see how your sales grow by showing your designs with beautiful visuals from Placeit! 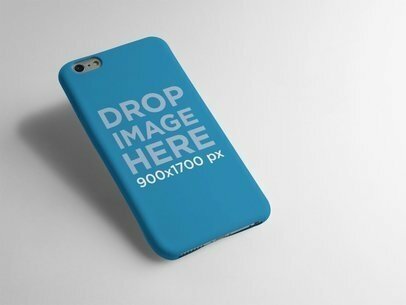 Use this mockup to promote your phone case designs! Placeit creates mockups that are trendy, functional, and professional. Like this one, it features an iPhone Case over a gradient background. You can select every color in this image! Pretty cool, right? 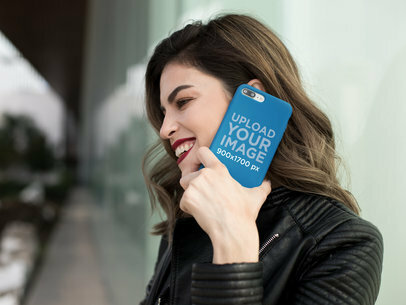 Edit your phone case mockup now! Got some cool iPhone Case designs you want to show off? Do it with Placeit! 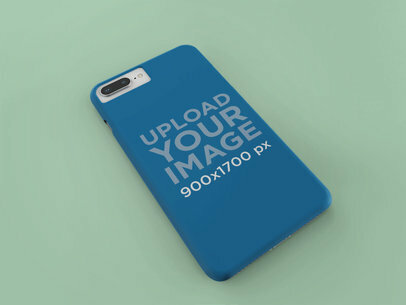 Our Phone Case mockups are made to be super customizable! Like this one, featuring 3 different phone cases that you can customize to your liking, you can even make the background transparent! Cool, right? 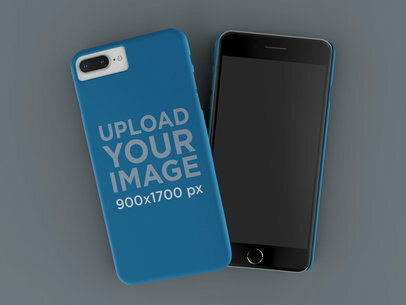 Edit your iPhone Case mockup now! 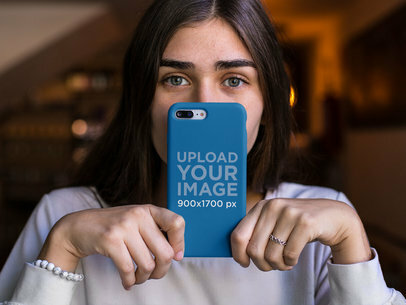 Use this awesome mockup featuring an iPhone case lying over another iPhone case while on a solid color surface, it's a great visual that you should use to promote your latest phone case design to your audience! 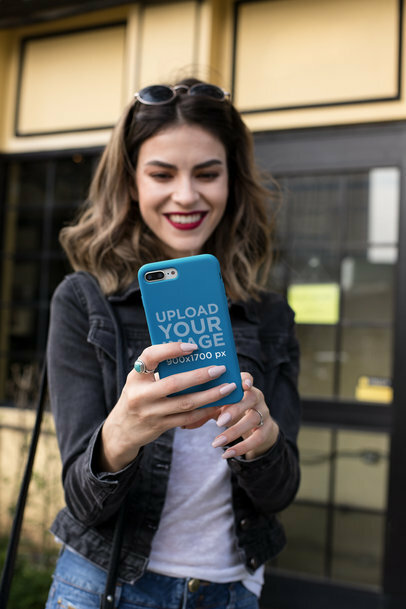 Use Placeit now to showcase your phone case designs in a great way to your customers. 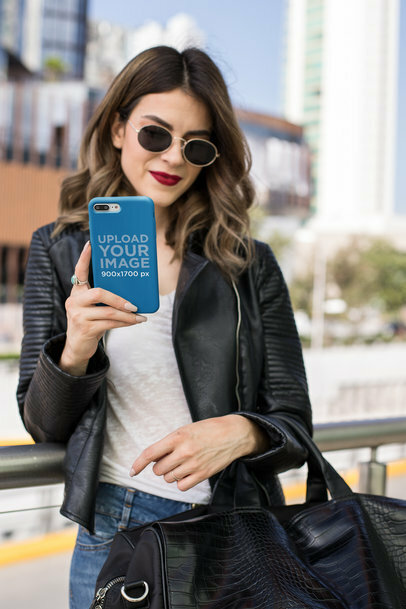 Start promoting your latest phone case designs in a better way with an image from Placeit that will help you make stand out your design! You can choose the environment color to either make it match or add contrast to your design colors. 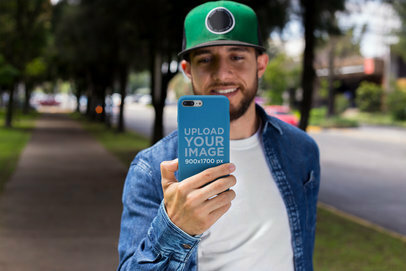 This awesome mockup features a phone case on an iPhone with two cameras, use it to promote your best phone case design! 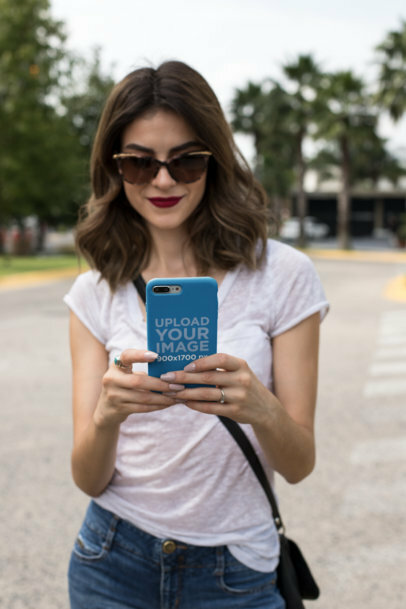 Want to show off your Phone Case design in the most perfect way possible? 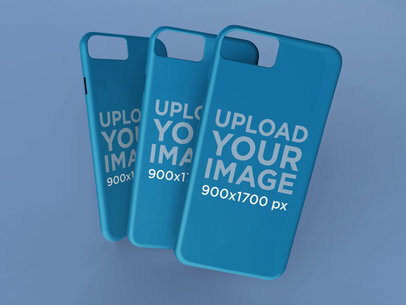 Use Placeit's Phone Case Mockups. We create our mockups to be interesting, easy to use and offering the best quality possible. 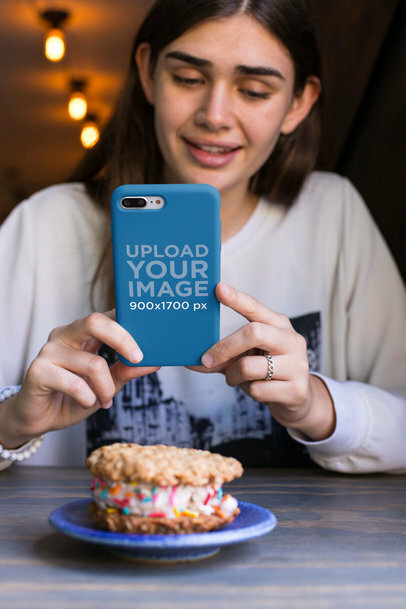 This template features a smiling girl in a café, and you can change the color of the phone case. Awesome, right? 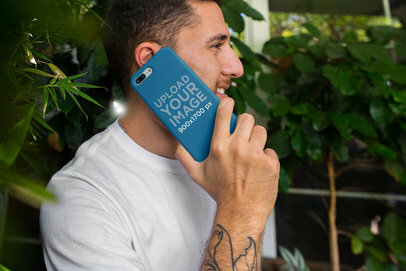 Use our Phone Case Mockup now! Looking for Mockups perfect for you phone case design? You've found Placeit! 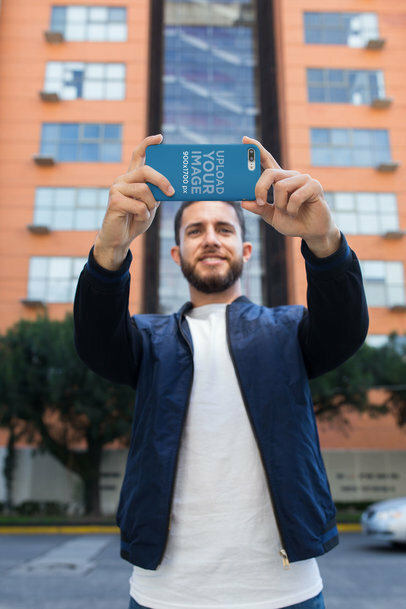 Our Phone Case Mockups offer amazing locations, models, and trends. Try this one out, it features a girl with blue eyes holding a phone case which you can actually change the color of. 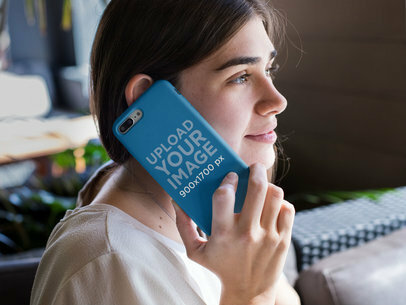 Make your Phone Case Mockup with Placeit and show off your Phone Case design. Do you have a cool phone case design that you want to display on an actual phone case? We have the mockup just for you. 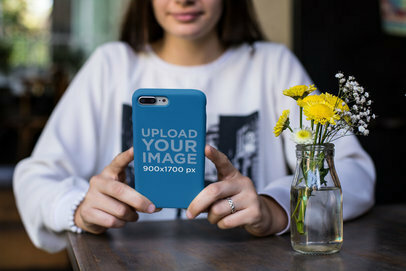 This mockup featured a girl casually holding a phone case in a café. You won't have to spend money on expensive photo shoots. 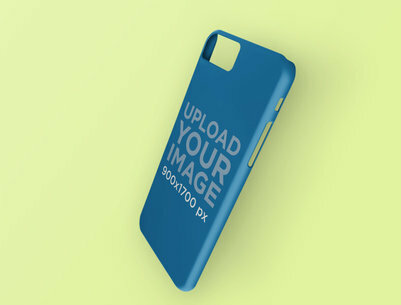 Just edit your design on Placeit's Mockups, you can even change the color on the phone case. Try it out now! 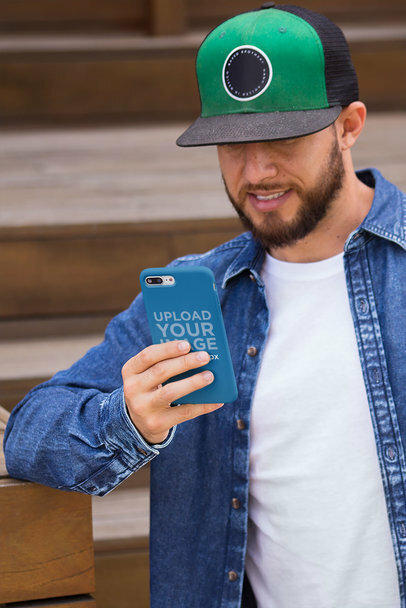 Did you create an awesome phone case design you want to effectively promote online? Want to see what it looks like on an actual phone case? 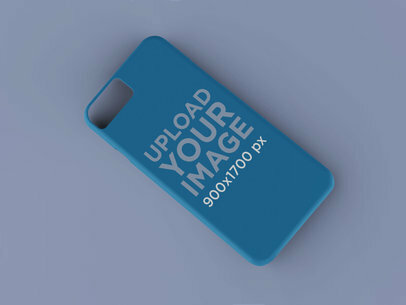 Use Placeit's iPhone Case Mockups! Like this one, it features a phone case lying over an iPhone. You can make it your own and select every color in the image. 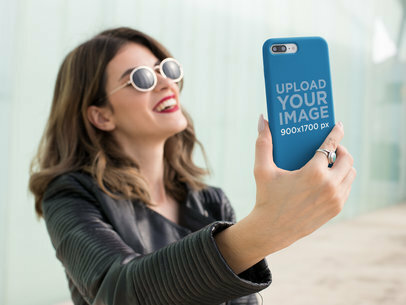 Edit your phone case mockup now! Did you create an iPhone Case? Want to see what it looks like on an actual Phone Case? Promote your design with Placeit. Our mockups are super easy to use, professional, and on trend. This one even lets you change the background and phone case color. Try it out, it's easy. 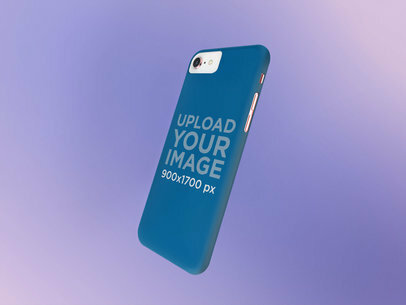 Start promoting your latest design for a phone case now with Placeit's phone case mockups! This one is a great choice since it will help you market your latest design with a simple yet creative surrounding. Change the environment color and make it match or add contrast to your design's color. 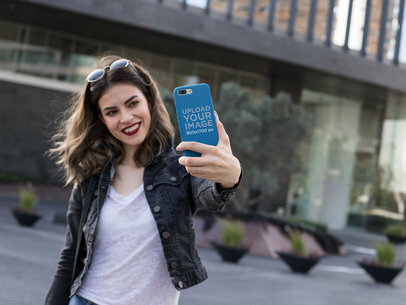 Start now using Placeit and sell more phone cases! Made a cool Phone Case Design? 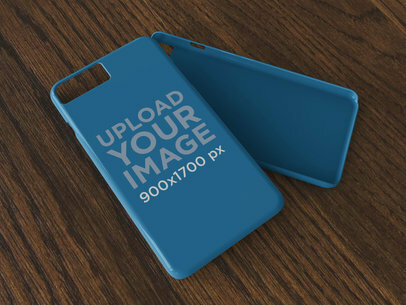 Show it off on Placeit's Phone Case Mockups! Our mockups are stylish, trendy, and cool. They're also super easy to use. You can also the color on the phone case. Easy, right? 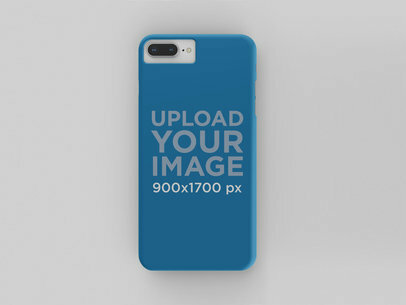 Edit your Phone Case Mockup now. 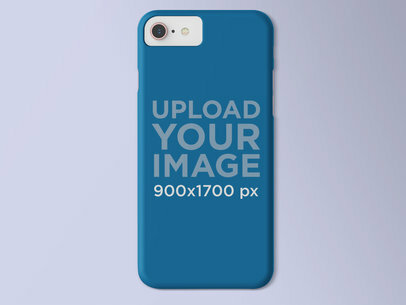 Uploading your phone case design onto a mockup has never been easier with Placeit! 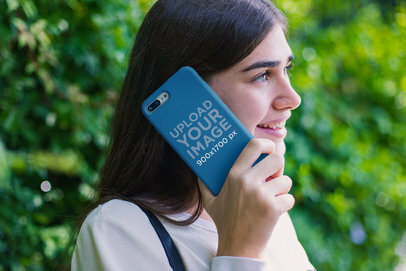 Our phone case mockups can be customized to your liking, and offer cool locations, models and settings. Try it out, it's easy. Looking for awesome visuals to promote your latest phone case designs with? Use Placeit's! This is an awesome visual that you should use to promote your latest designs for iPhone cases, promoting your designs with a beautiful image that includes matching or contrasting colors to your design is an excellent choice to let your audience know how great they are. 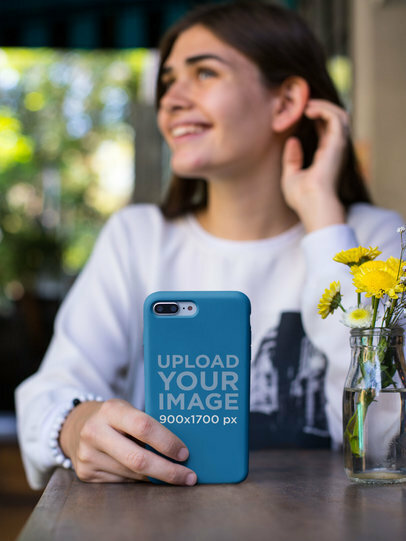 Start promoting now your latest phone case design with Placeit's mockups and make your audience fall in love with your designs! Showing your audience a gorgeous visual with your case design will improve your marketing strategy right away. The best part is you can customize the background color and phone case color within a few clicks! Try it out! 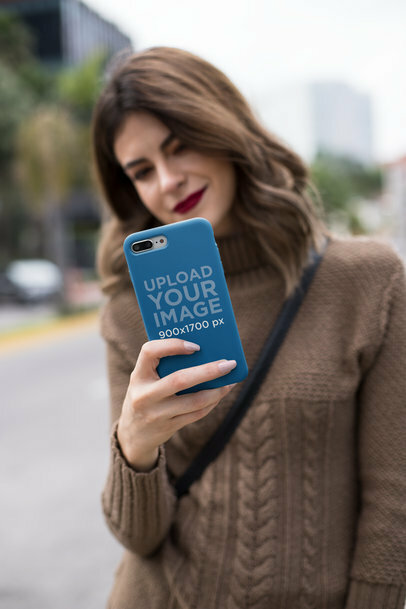 Create an awesome visual featuring two iPhone Cases floating angled against a solid color surface and promote your designs using a beautiful visual that will show your customers how cool your designs and brand are! Start now and show your audience an awesome visual that will help them image your real life product. 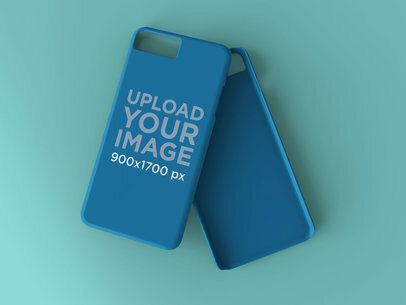 Use this Phone Case mockup to promote your designs. Make the image your own and select the phone case and background color. 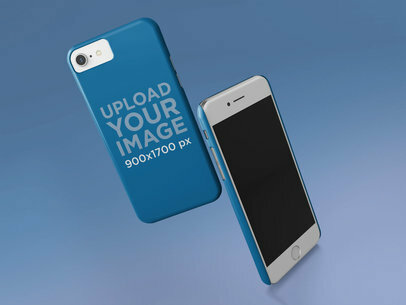 Placeit's Phone Case Mockups are created to be easy, on trend, and won't require any additional software. Try it out, it's easy. 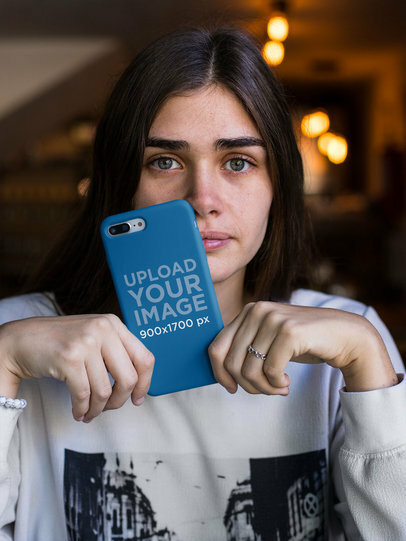 Start now promoting your latest phone case design with Placeit's mockups and get your customers to see your designs on a gorgeous image! By using this mockup, you can help your case design stand out with a trendy and customizable gradient background. 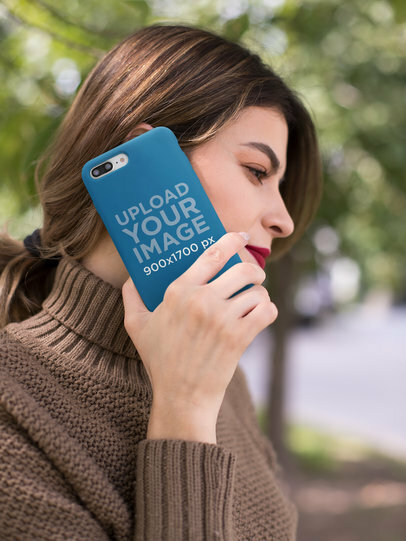 Start promoting your designs for a phone case with Placeit's mockups and make them stand out using a beautiful image at the same time! Show your latest phone case designs and make them have contrast or match your background color with this image from Placeit. Awesome, right? Do you have an awesome Phone Case design you want everyone to know about? 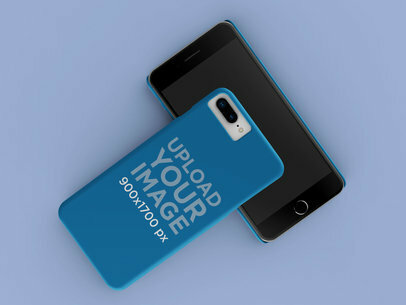 Use Placeit's Phone Case mockups! They're easy to use and offer a ton of different views and styles. 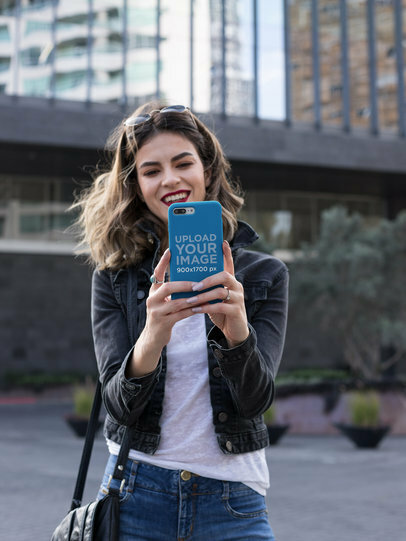 Try it out, show off your Phone Case design! 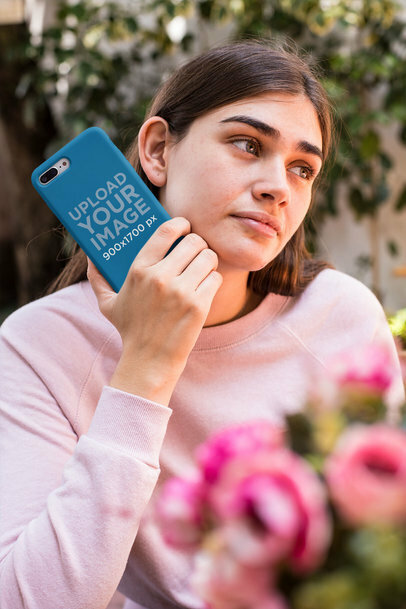 Looking to promote your latest phone case design using a photorealistic visual that will show your audience what it does look like in real life? Use Placeit and show them a fashionable iPhone case design in a beautiful environment. Start now showcasing your designs with beautiful mockups from Placeit and leave your potential customers charmed with just an image! 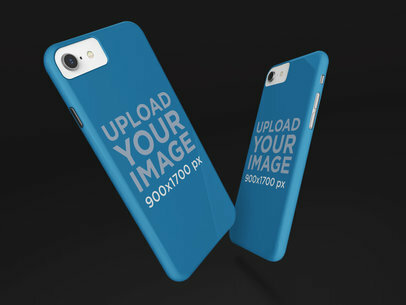 Advertise your phone case design in an attractive way to your customers using Placeit's Render Mockups. Our mockups are super easy to use and don't require any additional software. You can change the background and phone case color. Cool, right? 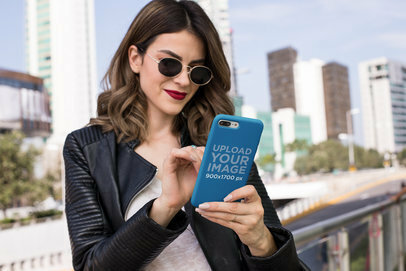 Do you want to showcase your phone case design in the simplest way possible? 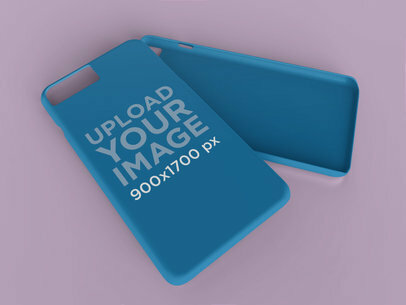 Try out our rendered phone case mockups. They're pretty easy to use and even allow you customize to phone case and background color. 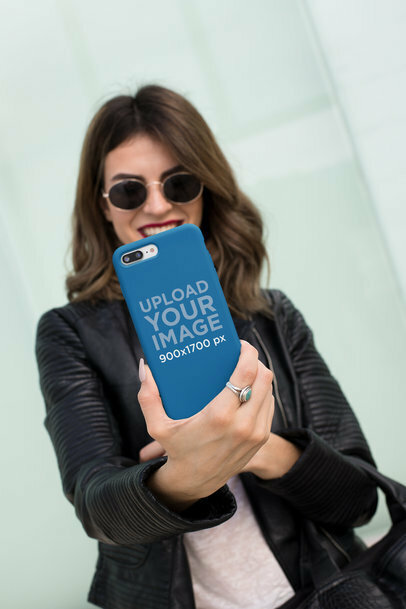 Use it now and create your Phone Case Mockup! 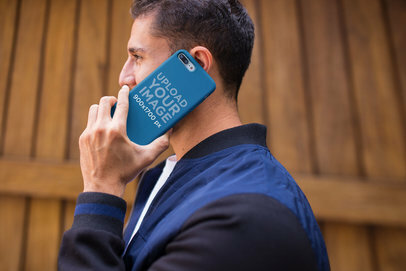 Want to see what your Phone Case Design will look like on an actual mockup? Placeit's Mockups are perfect for you. 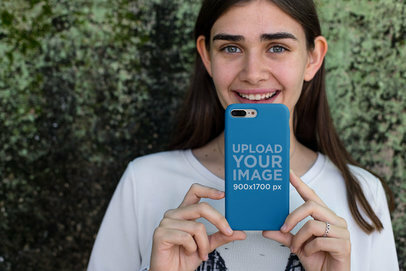 This mockup is a trendy girl taking a selfie, super cool! It's easy to use and stress-free. 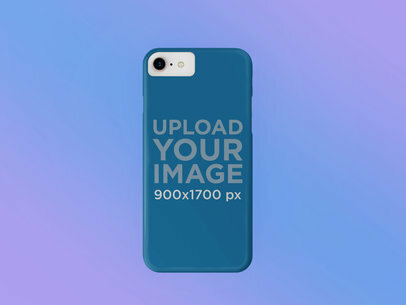 Try it out, edit your Phone Case Mockup now. Want to see your Phone Case on an actual phone? 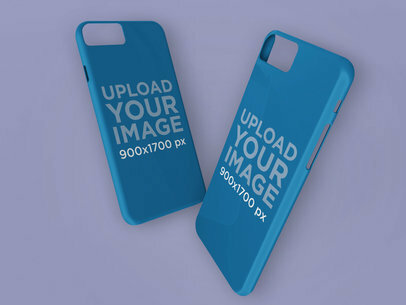 Use Placeit's Phone Case Mockups. Our Mockups are made to be straight-forward, easy to use, and super cool. This one features a trendy woman on the phone, and the phone case is fully visible, you can even edit its color. Try it out now. 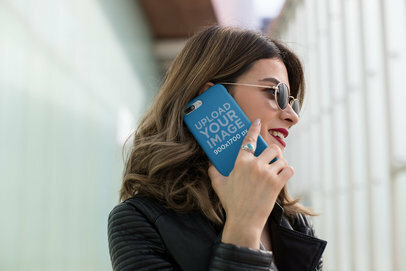 Create your Phone Case Mockup with Placeit. 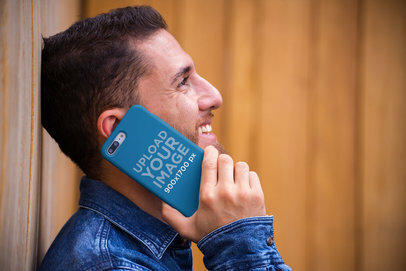 We offer Phone Case Mockups that are easy to use, functional, and trendy. This mockup is perfect for your phone case design. The woman is holding it perfectly so it can be displayed the best. Try it out, it's easy. Loving your phone case design? 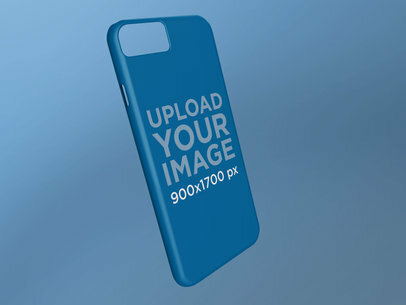 Use Placeit's Phone Case Mockups to upload your awesome design and show it off. No additional software is necessary and you'll have your mockup ready in no time. 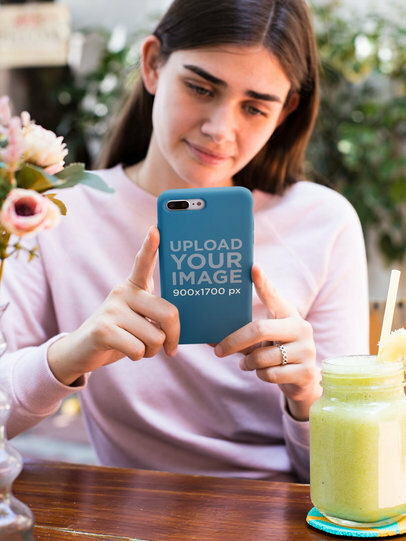 Edit your Phone Case Mockup now, it's easy. Made a Phone Case design that you want to see displayed on an actual phone case? 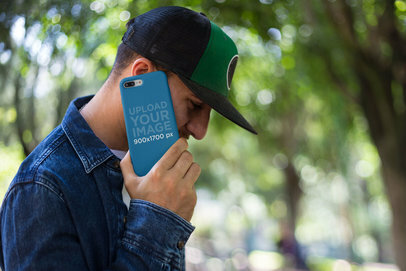 Try out our Phone Case Mockups, we have a ton of locations, models, and poses. This one's great for displaying your Phone Case with a trendy model. Have fun with it, try it out.